The major printer technologies for home use are Inkjet, Laser, and Thermal Dye Sublimation. Among these three types of printers, inkjet printers are the most commonly used type of printer, they have a low start-up cost – less expensive than laser printers and ink cartridges are cheaper than toner cartridges. In printing documents, inkjet printers can print finer, smoother details through higher resolution. The range in prices for inkjet printers is significant, different quality, different price, you can only pay under $50 or more than hundreds to get a printer. As for the print paper, inkjet papers are available in a variety of sizes ranging from 4×5” through 36×48”, and inkjet papers are different from all other photo papers, they include an extremely broad variety of fiber-based (and non fiber-based) surfaces. In addition to small inkjet printers widely used in home and office, there is another professional inkjet printer, called large format printer, which you’ll see in most design companies or advertisement companies. This type of printer is mainly used in printing high-volume business communications that do not need high-quality layout and color. A thermal dye-sublimation printer is a computer printer which uses digital printing technology, it specializes in graphics, while the inkjet printer was widely used in printing correspondence, spreadsheets, and other standard text documents. As thermal dye sublimation printers produce images with a continuous range of colors, they can produce more natural-looking shades and color mixes as well as high-end inkjet printers. So if you want to print your own photos or other graphical materials for your business, a dye sublimation model is an ideal choice. Laser printers are excellent for document printing, as well as copying and scanning, they can produce excellent print quality, both black & white, as well as color. It is no doubt that toner cartridges can last much longer than inkjet cartridges, and compared to an inkjet printer, a laser printer can print the document (especially larger documents) in a faster speed. But it is not great for photos and image-heavy documents, so if you want to print photos, go for inkjet, an inkjet printer can do a better job of blending smooth colors. Multifunction Printer is an office machine which incorporates the functionality of multiple devices in one, can be divided into 3-in-1 Printer and 4-in-1 Printer. With a 3-in-1 printer, you can scan photos, copy files and print out reports all in one place. A 4-in-1 printer serves several functions, including printing, faxing, scanning, and copying. A photo printer is an electronic printer that can print high-quality digital photos instantly, it is usually a single function printer. Which Printer do Professional Photographers Prefer? Professional photographers usually have a certain demand for photo size, they will display their A3 or A3+ size picture more than A4 size. So most of them will prefer to buy an A3+ desktop printer or even a larger format printer. Color rendition is of great importance for printing high-quality photos, Canon imagePROGRAF Graphic Arts Printers is an excellent device for making quality prints, if you want to participate in a photography exhibition, this photo printer will be your perfect choice. The first parameter should be noted I think is what paper sizes does the printer support? Paper size is the size of the paper used for printing. If the printer cannot print the size you want, then you cannot print the picture you like to a specific size. Photo papers are designed to produce a high-quality image, but some type of photo paper can vary according to different printer models, like art paper. If you only use glossy paper to print photos, then there is nothing you have to worry about, as almost all printer can support glossy paper of different brands. If you print photos more than documents, then an inkjet printer or a dye sublimation model will be the right printer for you. Both of these two types of printers use ink cartridges to print photos but in a different way of course. Generally, the photo print quality is in proportion to the amount of the ink cartridge and the resolution. Typically the more the cartridges, the more precise the quality and color range. 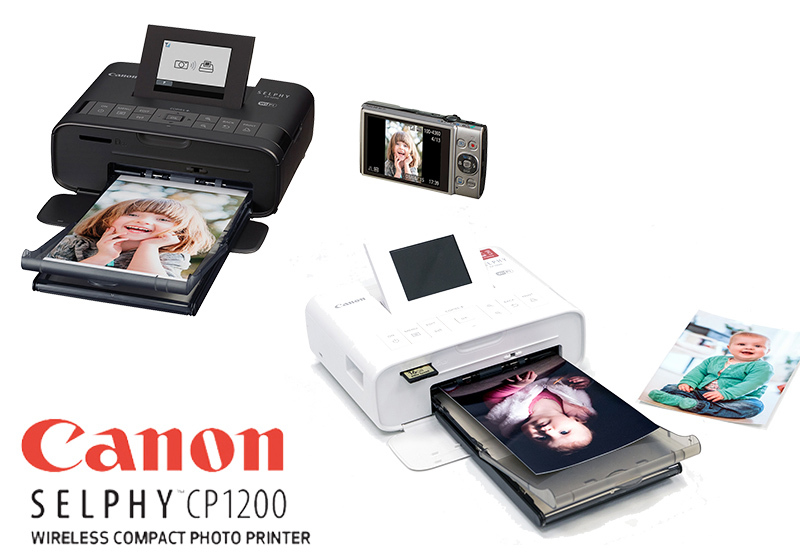 If you want to buy a dye sublimation printer, I recommend you to buy Canon Selphy Series Printer, like Selphy CP1200, Selphy CP910, with the Canon Print inkjet/selphy app, you can easily print your favorite Facebook and Instagram memories right wirelessly and effortlessly from your smartphone or tablet. And each selphy ink and paper kit comes with exactly enough of each to Print 18, 36, or 54 photos. As for inkjet printers, I highly recommend Canon PIXMA Pro-1 or Epson Stylus Photo R3000. 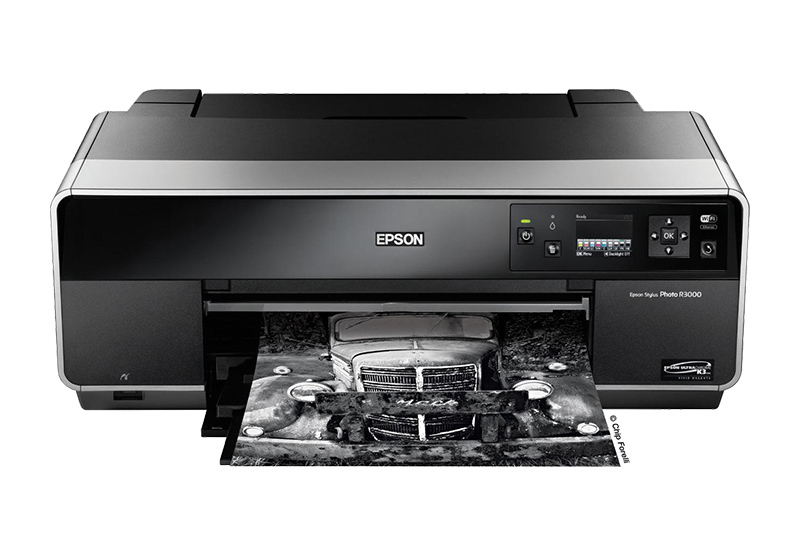 With high capacity inks ideal for medium print runs and a small footprint, Epson Stylus Photo R3000 this A3+ printer makes professional-quality prints accessible. The PIXMA PRO-1 Professional Inkjet Printer is the quintessential tool for the professional photographer, using LUCIA 12 pigment ink system for professional image performance up to 13″ x 19″. If you are not satisfied with these two printers, then you can choose Epson Stylus Pro Series, like Stylus Pro 2400, 3800, 3880, 4800, 7800, 9800 printers and so on, these printers use Epson UltraChrome K3 Ink, can create exciting new possibilities for photographic and print professionals with the superior level of printing precision, durability and quality, plus three levels of black. The results are an unrivalled black and white capability that could exceed anything seen before from a colour printer, as well as great colour images.you to buy Canon Selphy Series Printer, like Selphy CP1200, Selphy CP910, with the Canon Print inkjet/selphy app, you can easily print your favorite Facebook and Instagram memories right wirelessly and effortlessly from your smartphone or tablet . And each selphy ink and paper kit comes with exactly enough of each to Print 18, 36, or 54 photos.